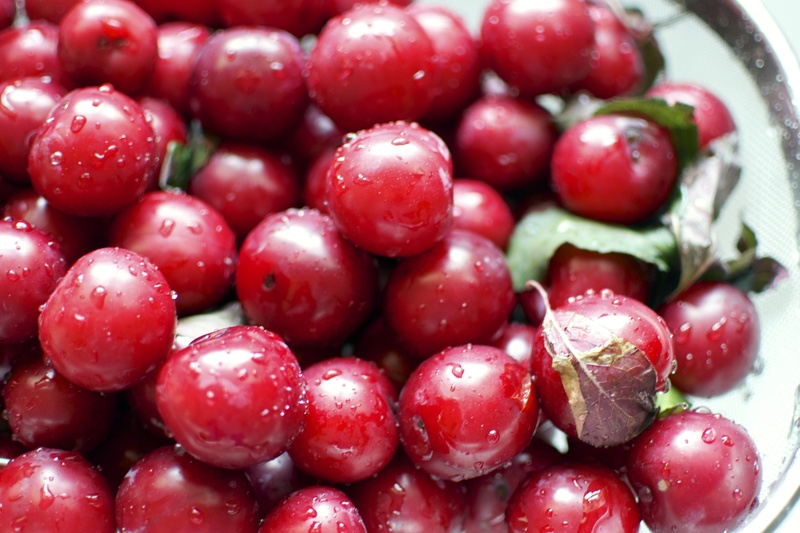 This week, I was the lucky recipient of a metric boat load of bite-sized cherry plums from a friend’s plum tree in her front yard!!! So, what would YOU do with sacks and sacks of fresh tasty plums? Well, besides pop them directly in your mouth…which happened a lot around here. I decided to try something new…. 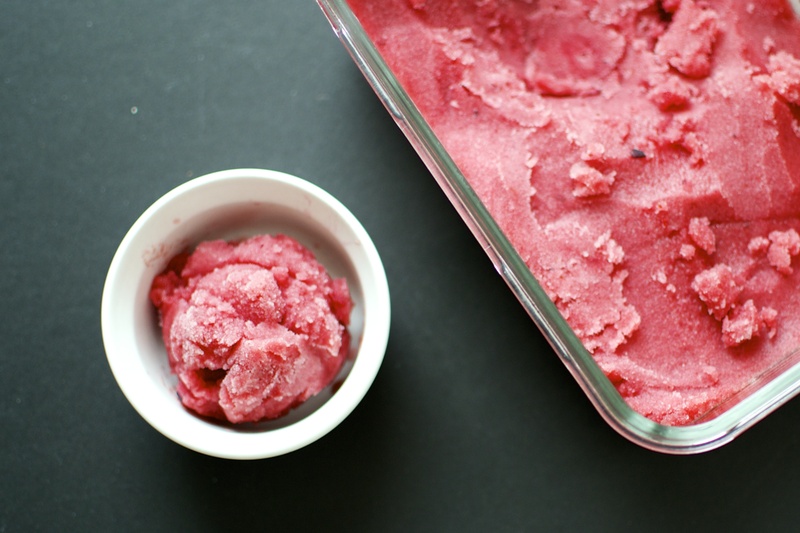 Plum sorbet, ya’ll! Come and get it! It’s muggy and sticky outside. 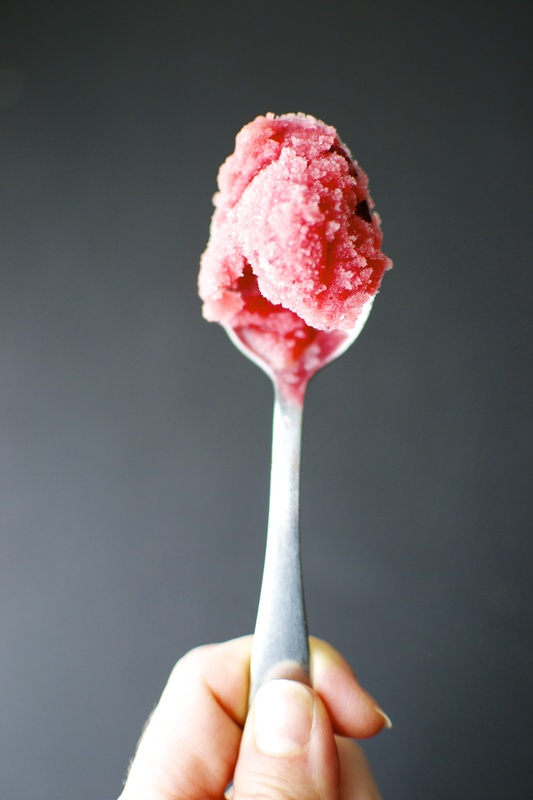 That means it is perfect weather for a tangy scoop of honey-sweetened Plum sorbet! And it’s dairy free! You could easily replace the plums in this recipe with another in season fruit, like blueberries or strawberries or peaches! This is So delicious. These plums that I used were perfectly tart and the honey provided juuuuust enough sweet balance. Also, I added a splash or two or three of champagne in the sorbet! Booze it up! Champagne or white wine in the sorbet provide the finished product a bubbly tang and help with the scoopability! Boom Boom! Wait. This would be great as a Champagne Float! What? Yes please! If that is not a thing, it should be. Tip that pinky up, honey. 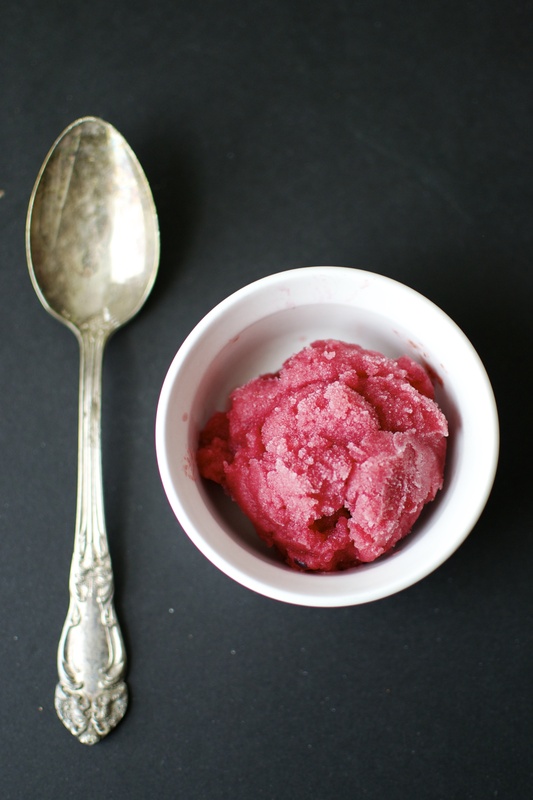 Put your fancy hats on and get a big ol’ scoop of Plum Sorbet! Cheers! Add all ingredients to a blender or food processors. Purée until the mixture becomes smooth. Pour the plum puree through a fine mesh sieve to catch large pieces of skin. Place mixture into refrigerator for 30 minutes (or overnight) to chill. Place the plum purée into the bowl of a chilled ice cream machine and process according to the manufacturer’s instructions. It will take about 25 to 30 minutes. While the mixture is churning away, place a glass container into the freezer that will be big enough to place the processed sorbet into. After the sorbet is finished, either serve immediately or place into the air tight pre-chilled container and freeze for at least 2 hours to firm up. The wine will help keep the sorbet from getting icy and will assist with scoopability if serving at a later time. Allow to sit out at room temperature for about 5 minutes after removing from the freezer, then scoop away! Can we please eat plum champagne floats in your lady parlor? !